It's so refreshing to have an outdoor wedding reception on a warm August Colorado day in the Front Range. 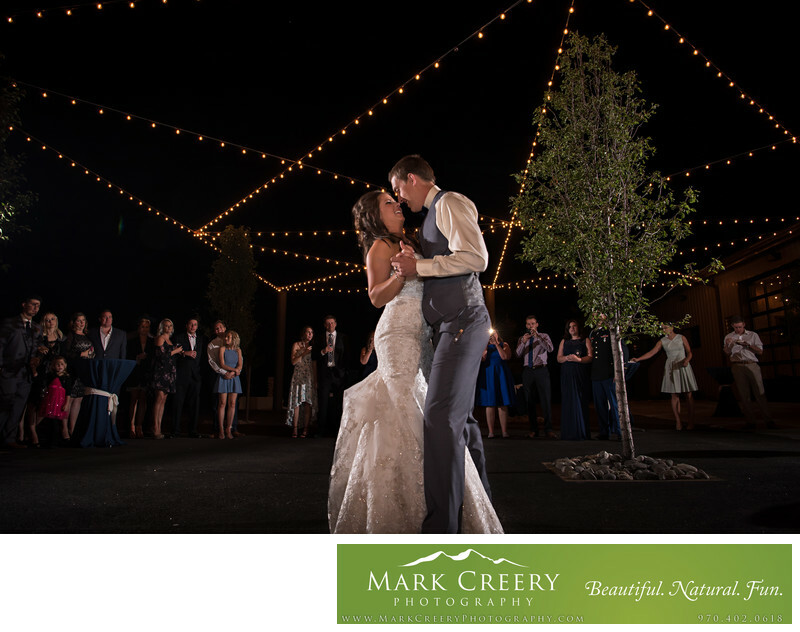 This First Dance photo was taken at the reception venue at Spruce Mountain Ranch during a beautiful event there. I love how the guests gathered around them in a circle to all get a good view, and provide some context and more visual interest in the photo. The overhead lights provided that extra ambience. The evening turned into a great dance party, thanks in part to the mad DJ skills of Tasos Hernandez.